If you've received a phone call from a loved one that has been locked up in the county jail asking you to post bail for them you may be on the fence about what to do. It may seem like a lot of money to spend on someone, but truth be told, it is money well spent. When you post bail for someone you're doing them a huge favor. While it is important that you must be able to completely trust the person you're posting bail for, because if they skip down once released they'll be leaving you with a large fee, be sure to take note of these benefits of posting bail for a defendant. If the person in jail is currently employed there is a good chance they will end up losing their job, even if found innocent. The court process can take weeks, months or even longer, so by granting your loved one freedom they can continue to work. Should they be found guilty they may be able to to make arrangements with their employer for future employment upon their release. Another crucial thing to consider is the person's current educational situation. If they are in school they will be missing valuable material as they await their court dates sitting in jail. Don't let your loved one fall behind in their classes. One of the hardest things that can happen to a family is to have a provider be taken away to jail. Whether that person is caring for children, their parents, siblings or other family members of friends, they are being relied upon to feed, clothe and house these people. This is impossible to do from inside a cell. It's fairly difficult to prepare a case from inside jail. Being released on bail allows a defendant to find an attorney to handle their case and to work closely with them in order to receive the best possible outcome in court. If it appears that the person may end up being locked up following a guilty plea or verdict the defendant will be able to prepare their family, friends and tangible personal things for their time away. Posting bail can be a difficult decision, but remember the good you will be doing for the defendant. To learn more about the benefits of posting bail in Southern California get in touch with family owned Arrow Bail Bonds. 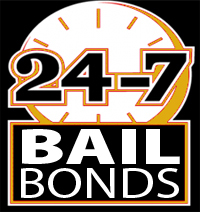 We work hard to provide fast, honest bail bonds in Rancho Cucamonga and throughout the nation. Give us a call today at (909) 891-0578 to start the bail bond process for your loved one.